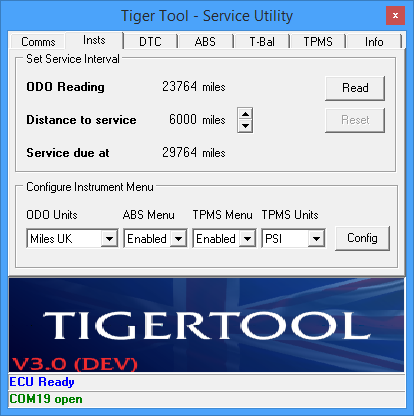 Where I can find a link to download TigerTool? Here's a suggestion: could you replicate the comms from the instrument panel so that the bike could still be ridden if it was stolen or damaged? I've also been looking at the possibility of a smaller (cheaper) unit that connects to the diagnostic socket and has both Bluetooth and USB comms. It would have a simple command set to allow access to the ECU features so anyone could write their own software for PC / Android / iOS etc without having to know the ins & outs of talking to the ECU. This could also be used if the instruments are stolen / damaged or if you just wanted a different display with more detail showing. Speedo correction could very easily be applied, as some people seem to hanker after a speedo that doesn't read around 5% high. Just some ideas on what can easily be done and most should apply to all new(ish) Triumphs that have CAN-bus comms between the ECU & instruments. Hi to all on the forum. I am a new user having just purchased a 2015 tiger xrx with 7000 km on the clock three weeks ago (and put 2500 km on it already). Absolutely loving the tiger after riding my Bonnie t100. I am very interested in the development of the tigertool and fascinated by the work you are undertaking. I have used TuneECU routinely on the Bonnie including playing with the maps, and am frustrated with the lack of access to the Tiger ecu. I admit to being a bit ott regarding wanting bikes to breathe properly, I removed the airbox and all the environmental stuff from the Bonnie, plus free flow pipes. At some stage I will want to remove the cat etc from the tiger but at this stage just enjoying riding the new bike. 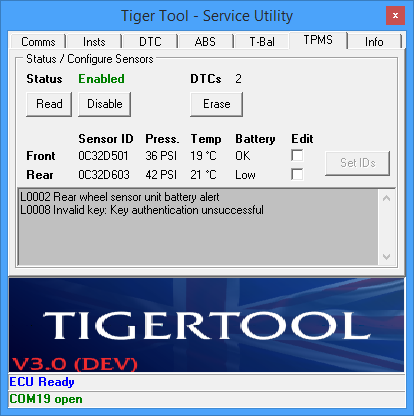 I'm looking forward to the full development of the tigertool.